Preparing your Mountlake Terrace, WA apartment for a romantic date night may have you frazzled. You are not only anxious for the meeting but also want to create the right atmosphere and leave your best impression. With a few small tips and tricks, you can help prepare your home for a date night neither of you will soon forget. 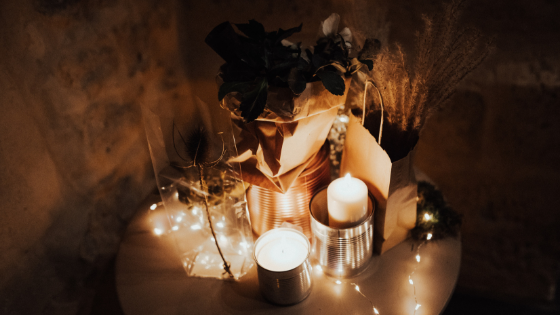 Date nights are about romance and whimsy so you should give a quick scan of your space and check for anything that might be considered distracting. Items like medication, financial statements and bills, dirty laundry, and left-out food or dishes can ruin the mood. Remember if it catches your eye when you scan the room, make sure it is in a good way. If your overhead lighting is bright, bring in some lamps so you can create some mood lighting. Remember you want enough light to be able to see each other during conversation, but the lighting should be softer and dimmer. If you are a fan of 100W bulbs, pull them out and use 60W or 40W. While your date may love the fact that you hit the gym every day, they don't want to be reminded of the smell. Find some lightly scented candles, or if you really want to score some extra points, bake some fresh cookies right before they arrive. Nothing smells better than baking. Just make sure they don't burn. You don't want to spend your evening fumbling around in the kitchen. If you plan on serving some red wine, already have it open and breathing. Have some glasses chilling in the freezer for white wine and beer, and have all of the pieces you need for your meal sorted out on the counter. Sometimes date nights may include some awkward silences, but having music in the background can make these moments less awkward. Pick something soothing and relaxing, or something by your date's favorite artist. Looking for a new place to make some more magical date nights? Stop by Taluswood apartments today to find the perfect floor plan for you.